After over almost 20 years writing for The Auto Channel I have had a chance to drive some great automobiles. Anything from Rolls Royce to Minis, from Ferraris to Porsches and just about everything else in between. This month I've had a couple of cars which were all right. Just that. The Volkswagen Passat is a fine automobile, solid as a rock but being a diesel it is proving to be a hard sell. Diesels sell by the millions in Europe but are proving to be a hard sell in America. Of course the huge success of hybrids does not help. Who would have believed a few years back that the word Prius would become a generic term? And yet that is exactly what it is. Ask one of the millions of satisfied owners-including my own wife- and when asked they will simply say I drive a Prius. Not a Toyota Prius, just a Prius. Just like in England every van-even if it is made by another company is know as a Transit. Not a Ford Transit, just a Transit. Well, I very much doubt that the Chevrolet Trax will ever become a generic term, partly because it isn’t very good at all. It originates from GM’s South Korean plant, a moniker the company would like to forget. Regrettably once a Daewoo, always a Daewoo. You can tart it up, call it a Chevy but when it comes to the steering ..without rapid corrections in would end up in North Korea. I thought I was dreaming when I turned the steering wheel right or left by about 15 degrees and proceeded to go straight on. So I’ve asked several neighbors to take it for a short test drive. They all came back shaking their heads. Totally unacceptable was the verdict. But, let us not be unfair. The Trax does have some redeeming features. It joins a fast growing segment of small SUVs such as the Nissan Juke and Honda’s HR-V. The TRAX’s price goes from 21 thousand to 27 thousand dollars and right through this range there are better alternatives. The turbocharged, intercooled 138 horsepower engine is adequate although I would hate to be one of five people- plus luggage -trying to go up to Lake Tahoe. I am sure it would get there in the end. Maybe my judgment re the Trax is colored by the fact that I was nearly sick every time I got into it. Ditto the gentleman who delivered it for test. The little SUV was brand new and had that new car smell. Unfortunately the company is using a new type of glue which smells absolutely appalling. Maybe, if you wait long enough it will disappear. One thing is for sure-without me. One car I couldn’t even get near to was the much hyped Mercedes-Maybach. Having seen it at the LA Show I was hoping to get a ride in it. Not being one of the company pet, sycophantic poodles I knew that an invite was out of the question. So, as several people at the local tennis and yacht club asked me about the MM I thought that as Santa Barbara-where it was launched is just down the road I would pop in and join someone for an afternoon’s drive. I was –as you will have guessed-kicked into touch even though the MM has five seats and at the most two were occupied. Not, as Boris Becker said after losing a tennis game to an unseeded player-the end of the World. Having read one honest report from the Wall Street Journal’s star writer Dan Neil, it sounds like a bit of an overkill but with plenty of dictators left in the World I am sure demand will exceed supply . Returning to the 2015 Passat TDI it should be said that at 29 thousand dollars it is excellent value. The 2 liter engine pulls well and the consumption is in “hybrid” territory at 35-40 miles per gallon. The company’s biggest problem, as I’ve mentioned above is that diesel is a very hard sell in the United States. Leaving that aside for a moment the Passat has just about every conceivable extra included in the price! A far cry from Audi, BMW and Mercedes. Particularly noteworthy is the 12 years unlimited mileage warranty against corrosion perforation, very brave indeed. One thing to remember is that VW are a huge company and there is very little indeed anybody can teach them. You may not know that Bentley, Audi, Seat, Skoda, Lamborghini (!) and Porsche are all part of the group so when it comes to advanced engineering VW are a giant like no other. They have a plant in Gyor, Hungary near the Austrian border. When asked, more Hungarians wanted to work at the plant than anywhere else in the country. That says it all. 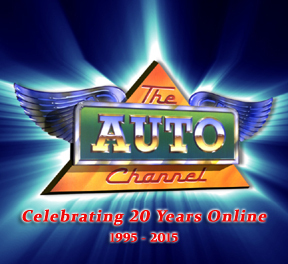 Happy 20th to all of us internet pioneers at The Auto Channel, looking forward to the next 20!